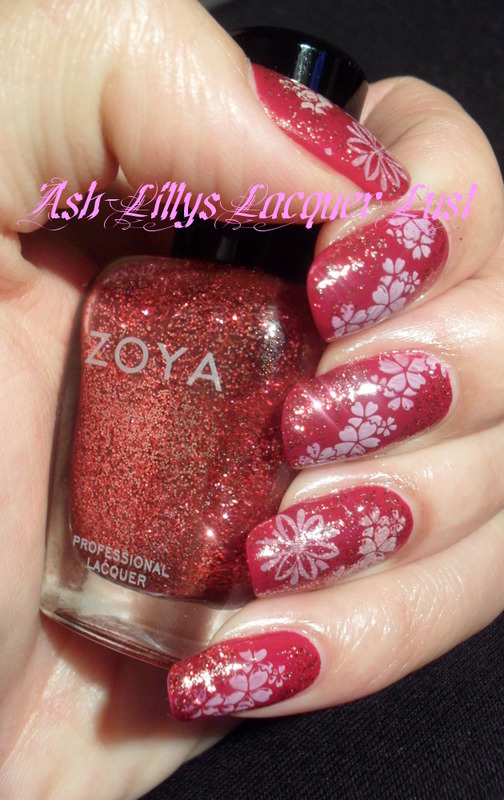 Ash-Lilly's Lacquer Lust: Barry M and Zoya...oh, and are the comments working?? Barry M and Zoya...oh, and are the comments working?? Hi again! As Monday is fast approaching (like, in a few minutes), I thought I'd show you what I'm currently wearing. Before I get to that though, if you stop by, like my pictures but are unable to leave a comment, please email me to let me know? I've been told by a few people that the option isn't always available. I know that this is a glitch, but before do something drastic (like de-installing/re-stalling things and losing all of my comments completely) I'd just like to know if this is the general consensus. PLEASE HELP A GIRL OUT? Anyway, back to the picture spam...muhahahahahhhhh! 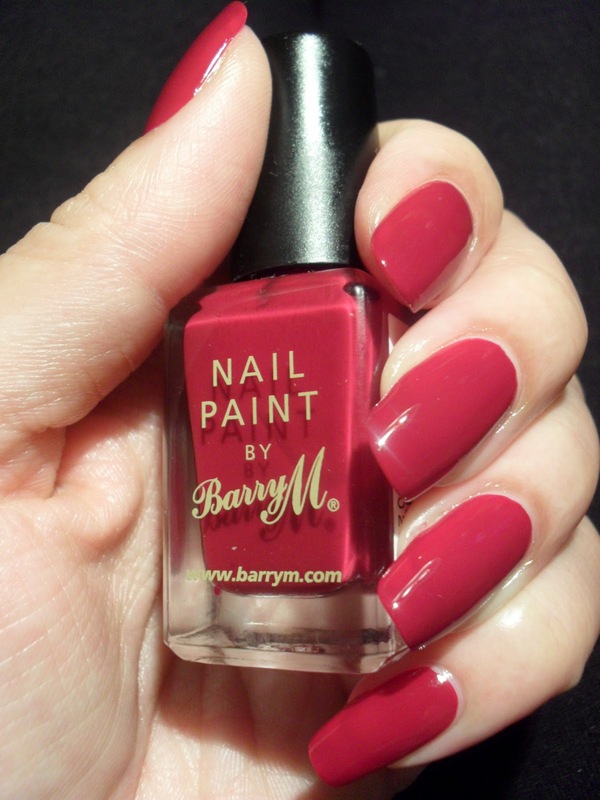 Barry M Raspberry - a very generous 3 coats, but it only needed two. 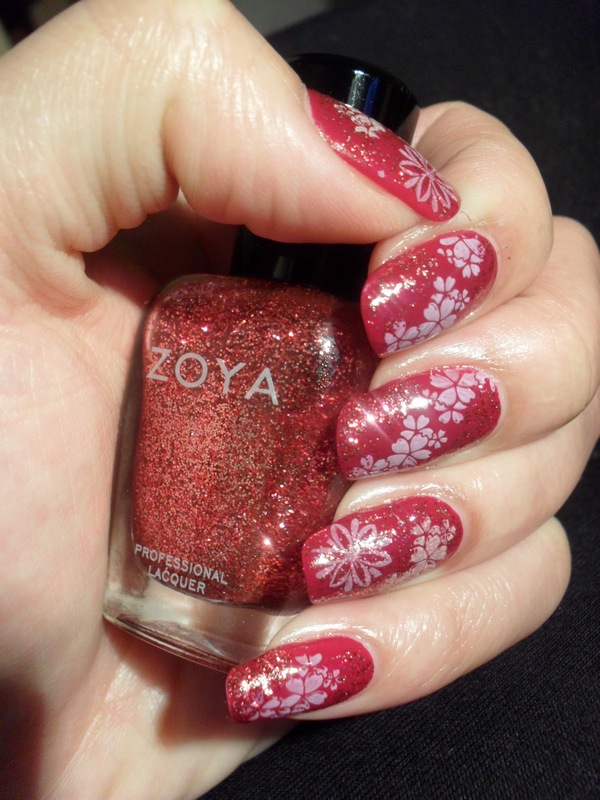 I used BM plates and Zoya Astra for the glitter. My seldom seen right hand (yes, I have one!) My thumb nails are generally shorter than the rest because I prefer them that way. I'm still practicing with the stamping so bear with me. Did you like this manicure? Is there anything else that you would like to see?